*~1861 Ý30 April 1907 (Kolonia, Pohnpei)--Bezirksamtmann Kilwa, later Mikindani (both German East Africa); Vive Gourverneur and Bezirksamtmann Pohnpei 1 September 1901--30 April 1907; Acting Landeshauptmann Jaluit late 1906. Arrives Pohnpei 31 August 1901, starts service 1 September 1901.--When posted to Pohnpei in 1901, first as a temporary replacement as the incumbent Albert Hahl was on acting Governour General in New Guinea, he was a forty-year old colonial administrator with previous experience in German East Africa. Berg's Pohnpei career got off on the wrong foot, as he had a strong distaste for the Pohnpeians. After having been severely censured by the colonial head office in Berlin, Berg embarked on an exemplary career in colonial administration, following the official line to the letter both in spirit and in actions, yet developing some sympathy for those he ruled. His handling of the gun buy-back scheme was quite successful even though in the event not all guns had been traded in. Berg expressed great interest in the ruins of Nan Madol on Pohnpei which ultimately led to his death on 30 April 1907. The German official records claim that he died of sunstroke and exhaustion while surveying the ruins of Nan Madol, while the Pohnpeians maintain that he died because he dug up the tombs of Nan Madol. Victor Berg is buried in Kolonia, just below the remains of the German church. Deputy administrator Pohnpei 1908; Bezirksamtmann Jaluit 1910 (interim after Stuckhardt). *23 November 1856 (Berlin), Ý3 January 1929 (Berlin).--studies law. Referendarsexamen (civil service trainee examination) 19 June 1880; Assessorexamen (graduate civil servant examination) 18 May 1885.--Called to the Foreign Office 11 May 1886 (on probation); appointed Vice Consul Apia November 1888; Kaiserlicher Kommissar Jaluit 14 April 1890--February 1892; Consul Apia March 1892; Consul Bombay December 1895; Consul Pretoria March 1898; Appointed Consul in Helsingfors as acting Consul General 28 May 1904 (to start 1 October); arrives Helsingfors 23 September 1904; Exequatur (recognised) 29 September 1904; appointed Consul General in St. Petersburg 25 November 1905; hands over to Consul General Rössler 5 December 1905; departs Helsingfors 6 December 1905; Pacific desk, Berlin January 1906; Consul General St. Petersburg January 1906-July 1914; acting position in the Foreign Office August 1914; placed on reserve list 1 March 1915; sent to Petrograd May 1918-18 July 1918; intelligence service (Foreign Office) September 1918-15 July 1920; president of the court of the Imperial Compensation Commission 1920-1924; retires 25 November 1923. Prussian citizen.--Government physician Western Carolines ~1903-1908; Government physician Herbertshöhe (PNG) 1909; Government physician Jaluit 27 December 1909--17 March 1912. Deputy assessor district court Yap and Palau 1906--1907. *23 September 1846, (Freiburg i. Breisgau), Ý>1919 (Berlin); citizen of the Grand Duchy of Baden.--studies Mathematics at the Technical University of Karlsruhe 1863-1865; at the Albert Ludwig's University of Freiburg 1865-1866; marries Antonie Ruete, daughter of Princess Salima Salme of Zanzibar in late 1897/early 1898.--Advantageur in the 5th Baden infantry regiment 1866; Lieutenant in the Grand Duchy of Baden field artillery regiment 1868; takes part in the Franco-Prussian War 1870/71; Lieutenant in the Silesian foot artillerie regiment 1873; promoted to Premierleutenant 1875; placed on reserve list 1876; takes voluntary discharge from the army 1877; residence in Gonaives, Haiti, as a trader for a Hamburg trading company 1877-1881; Administrator of the Imperial Consulate in Haiti 1879-1881; Engineer at the railway in Cuba 1880; Engineer at the Panama canal 1884; Imperial German Consulate Sydney 1886; Samoa, adviser to Tamasese 1886, late; leaves Apia on the Lübeck 1889, February; acting Secretary in Jaluit 1889, July; appointed Secretary Jaluit 1890, May; act. Imperial Commissar 1892; takes up position as Imperial Judge, Herbertshöhe 1893, 20 January; leaves position as Imperial Judge, Herbertshöhe 1894, December 14; Colonial Office 1895-1898; acting Landeshauptmann Marshall Islands 1898-1900; Landeshauptmann Marshall Islands 22 February 1900-18 Jan 1906; retired 1906.--Iron Cross II class, 1871; cross of merit, order of the Zähringer lion 1870? ; knights cross II class order of the Zähringer lion 1871; knights cross, first class with oak cluster, of the order of the Zähringer lion 1908. Government physician Jaluit; 17 March 1912--1913. Acting Landeshauptmann Jaluit 18 March 1902/03 during furlough of Eugen Brandeis. *3 November 1853 (Dessau), Ý13 June 1931 (Berlin).--studied history and politics in Göttingen, Halle (Saale) and Berlin; Staatsexamen Halle (Saale).--joins the Prussian Archive service 1878 as "HIlfsarbeiter", working in Koblenz, Düsseldorf and Marburg; Vicepresident of the North German Society for the support of Emin Pascha; Deputy President of the Hanover chapter of the Deutsche Kolonialgesellschaft; his activities in the Deutsche Kolonialgesellschaft (German colonial society) brought him a call to the Foreign Office in 1892; Landeshauptmann Jaluit; December 1893--March 1898; head office of the German Colonial Service 1899-1900; German Consul in Genoa 1900-1907; German Consul General to the Commonwealth of Australia, Sydney 1907--1911; later on journalist on foreign- and colonial-politics and colonial politician. *21 May 1862 (Obergebisbach, Baden), Ý25 May 1906 (Jaluit) (suicide).--Deputy Landeshauptmann Jaluit 1889-1892; Secretary, Stationsleiter Nauru 1899-1905 ? ; Acting Landeshauptmann Jaluit 16 January 1906-May 1906. *10 October 1855 (Erfurt), Ý5 February 1910 (Berlin-Grunewald).--Abitur (university entrance certificate) 1874; studies law at Leipzig, Göttingen and Berlin 1875-1877; Referendarsexamen (civil service trainee examination) 16 February 1878; Dr. jur. 11 March 1878; Assessorexamen (graduate civil servant examination) 18 December 1882.--called to the Foreign Office 22 January 1883; Vice-Consul Apia 21 April 1885; Kaiserlicher Kommissar of the Marshall Islands 1886--5 October 1887; Consul Apia 17 June 1888--mid 1889 (recalled); temporarily retired 2 December 1889; Director of the National Bank of the Republic of South Africa 1 April 1891--1894; Consul in Canton 10 January 1895; Acting General Consul 25 July 1898; Consul General in Shanghai 9 May 1899; Acting Geheimer Legationsrat 24 March 1904; departs Shanghai 4 November 1905; retires 30 June 1906. Government physician Jaluit 1914; deported by the Japanese on 18 November 1914.
harbour master, pilot and chief of police Jaluit; Deputy Bezirksamtmann Jaluit FY 1908/09--1915; deported by the Japanese 31 May 1915. (accompanied by his wife). Deputy Bezirksamtmann PNG 1908; Bezirksamtmann Jaluit 1909-1914 (1915? ); deported by the Japanese. During his tenure the Bezirksamt Jaluit reduced to a Station and made subordinate to Pohnpei. Merz remained nominally Stationsleiter until well after 1916, even though first resident in San Francisco and then in Berlin. *5 August 1859, Ý1924.--studies law; PhD--joins Foreign Office 1886; appointed Vice Consul Apia 1888; Deputy Kaiserlicher Kommissar of German East Africa; Kaiserlicher Kommissar Jaluit 1893-1894; President of the Apia Municipality 1894-1897; Vortragender Rat of the Colonial section of foreign affairs; 1897 (from 1910 Vortragender Rat of the newly formed Colonial Office); Dirigent of the Colonial Office 1913. Government physician PNG 1896/7-1900; Government physician Jaluit 1900-1903(? ); Government physyician Saipan. Prussian citizen.--Government physician Jaluit; 1903--25 December 1908; Deputy Assessor Jaluit Court 1906. *Thüringen, Ý HongKong ~ 1909--Judiciary Thüringen; Deutsche Neu Guinea Compagnie 1891; Berlin 1895; Colonial service 1895; DCoA Jaluit 1895-1900; Bezirksamtmann Eastern Carolines (Yap ) 1900--1906; 1902 on furlough;.--1901 Order of the Red Eagle IV. Class; 1902 Knight's Cross of the Royal Württemberg Peace Order; 1902 Knight's Cross of the Royal Spanish Order of Carl III. Jaluit 1903. Acting Deputy Landeshauptmann Jaluit when Landeshauptmann Brandeis was on furlough in Germany. *8 January 1857 (Berlin) Ý13 June 1897 (Berlin).--Studies law in Göttingen; Referendarsexamen (civil service trainee examination) 5 March 1880; Assessorexamen (graduate civil servant examination) 14 January 1885.--called to the Foreign Office 20 May 1885; attached to the Consulate in Apia, acting as Vice consul 3 March 1886; acting Imperial Commissar Jaluit 28 June 1887; Imperial Commissar Jaluit 14 April 1888--29 March 1889; colonial section of foreign affairs 1 October 1889; permanent assistant in the colonial section of foreign affairs 1 February 1891; Acting Legationsrat 1 May 1891; commission to serve as chief judge for the government of German East Africa 12 October 1891; Wirklicher Legationsrat und Vortragender Rat for the Foreign Office. *5 July 1866 (Dresden) Ý5 March 1900.--Stabs- und Batallionsarzt des Garde Schützenbatallions. First government physician Jaluit 22 October 1891--October 1894; Assessor Jaluit Court 1892--93; Battalionsarzt of the Garde Schützenbattalion --1900--Order of the Red Eagle, IV. Class. District Judge and Bezirksamtmann Herbertshöhe 1900-end of 1906; 1903 on furlough; 1906-1908 in Madang and Friedrich Wilhelmshafen; Bezirksamtmann Jaluit late 1908 or early 1909--Nov 1909; District Judge Jaluit and Pohnpei 1908. 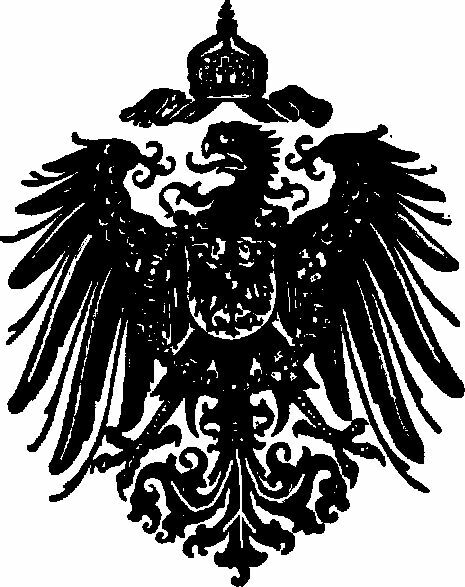 During Stuckhardt's tenure, the Landeshauptmannschaft Jaluit made Bezirksamt subordinate to Rabaul.--Stuckhardt was removed from his post by Captain Begas, commander of SMS Condor during an inspection tour of the Marshalls. In a bout of acute persecution mania Stuckhardt had jumped overbard at high seas.